THE NATIONAL WOMEN’S Council of Ireland (NWCI) is to ask the Broadcasting Authority of Ireland (BAI) to monitor the Irish airwaves for gender balance on a yearly basis. In 2015, a report called Hearing Women’s Voices?, part funded by the BAI, was published by the NWCI and DCU’S Institute for Future Media and Journalism. It involved monitoring Irish radio stations to assess the level of representation of women presenters and guests on current affairs shows. The NWCI was very critical of the stations at the time, and the pressure did lead to some changes. But the organisation fears that if regular monitoring does not take place, stations will not make big enough changes when it comes to gender balance on air. We want the BAI to do a regular monitoring in the way that we did a few years ago, because what we found is that when a spotlight is put on the radio stations they take notice – some of them are embarrassed and then there can be a flurry of activity. But unless that is kept under a constant spotlight the urgency dies down until we do that again. She said that the NWCI doesn’t have the resources to do regular monitoring. The council also wants the BAI and the Communications Minister Denis Naughten ”to look at what proactive measures should be taken by stations and what sanctions need to be sought if they aren’t meeting the targets that are set”. She said that the monitoring would not just be around gender balance in terms of presenting, but also around “addressing gender issues all the way through”, such as guests and gender-based issues that are discussed on air. “From our research it was also about experts, bringing women on more as victims in terms of issues, rather than for analysis as experts. So in addition to asking the BAI to do that regular monitoring we think the stations need to do an annual report in terms of their progress in relation to gender equality within the station,” said O’Connor. But she said there had been some positive advances made, particularly in RTE, “and that was really important”. She said that the monitoring also needs to be done in more extensive way. The NWCI did its research over the course of a week. As for what stations should be included, O’Connor said that national stations would be a start, noting that some local stations told the NWCI that they had “a much greater gender balance” than national stations. The NWCI will seek a meeting with the BAI and with Minister Naughten on the issue. Last year, Communications Minister Denis Naughten told TheJournal.ie that he is prepared to introduce gender quotas for Irish radio stations if recommended in a forthcoming report. The report, by Dr Kevin Rafter, is due this month or February. Though his powers cover public service broadcasters such as RTÉ and TG4, Naughten said that the quotas could even be extended to commercial stations if the Broadcasting Authority of Ireland was willing to connect them to licensing agreements. O’Connor said that in terms of private stations such as those run by Communicorp, “that is where the BAI come in”. She suggested that conditions could be put with licences, but said that the renewal time of licences needs to be looked at, as often quite a period of time has passed before licences come up for renewal. “We need to look at more proactive measures in between,” said O’Connor. Lucy Keaveney has been monitoring the Irish airwaves on-and-off over the past few years, in order to see what gender balance is like in the current affairs arena. “When I retired I did Equality Studies in UCD, and I love current affairs and I would always have a radio on in the house no matter what room I was in. And I began to notice there was an awful lot of men on air, but you can’t say there is an awful lot of men without figures,” she told TheJournal.ie. “I did the survey on my own – I locked myself in a room for a week with three radios,” she said. They were tuned to Today FM, Newstalk and RTÉ. But she was persuaded by Dolores Gibbons, who wrote a masters thesis on the topic of women and media, to keep going. ”It’s very hard to go back, when you know things are bad, to go back and realise that nothing is changing,” said Keaveney of what she discovered. She said that stations are “just plodding along and trotting out the same hapenny month after month, year after year”. Email “Irish airwaves 'should be monitored every year for gender balance'”. 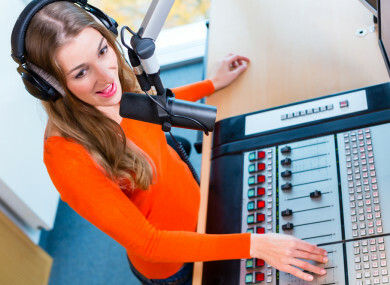 Feedback on “Irish airwaves 'should be monitored every year for gender balance'”.